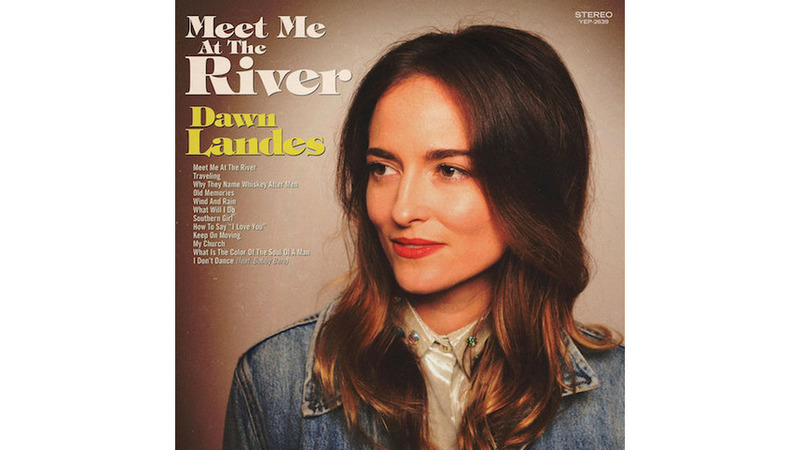 As someone whose past musical collaborations have included Sufjan Stevens, Norah Jones and Bon Iver, a straight-ahead, retro-country sound would appear to be an interesting turn for TED-talk giving, Brooklyn-living, Dawn Landes. But Kentucky roots, a move from her longtime home of New York to Nashville and the impressive coup of luring Country Music Hall of Fame producer Fred Foster (Dolly Parton, Merle Haggard, Kris Kristofferson) out of retirement give some bonafide credo to Landes’ fifth LP, Meet Me At The River. Even with Foster at the helm and an impressive line-up of veteran country session men, the more eclectic pockets of Landes sound comes through on the opening cuts. “Meet Me At The River” is more folk-country with its ambling, pastoral quality, before “Traveling” eases us into what’s to come. Even with slightly eye-roll lyrics like “I’m not looking for a pot of gold / Not needing a hand to hold,” the introduction of the familiar country soundscape—twangy pedal steel and production infused with all the warmth of southern hospitality—carries Landes through. She has a clear, bright and gentle voice—that classic country, bluebird tone—which lilts delicately over the music, even when she’s delivering a heartier tune like “Why They Name Whiskey After Men.” A jaunty, achy-breaky-type tune delivered with a wink and a stiff pour, lines like “Comes on strong and keeps you warm / Before it starts to do you in,” transporting you to a friendly, 70s honky-tonk. “My Church” and “What Is The Color Of The Soul Of Man” round out the album with some political conscience. The first, a very kumbaya, all-inclusive, love-your-neighbor country-waltz that sounds exactly like what some forward-thinking countrypolitan who heard his first Bob Dylan tune would write back in the late ‘60s. The second is the only track of the album with some real fire behind it, the vengeful strings and hard-drive backing up the song’s anti-prejudice message. “I Don’t Dance,” a track featuring vocals from octogenarian country legend Bobby Bare, attempts to end things on a charming and light-hearted note, but winds up sound forced and silly. A fitting end to what proves to be an uneven album. While Landes’ is lovely at best and boring at worst, the real disappointment here is the excitement caused by Foster’s production work, which, sadly, doesn’t quite deliver.